Aside from white-tail deer, mule deer hunting is probably the most popular hunting sport in North America. Ranging from western Canada and the western United States as far east as Texas and Wisconsin, mule deer are named such for their very long, mule-like ears that can reach lengths of ten inches. Mule hunting is popular because the species is plentiful and because the animal itself is much stockier than the white-tail, offering more succulent and plentiful meat per catch. Hunting mule deer is always going to be most successful in the animals natural habitat, so knowing their habits and climate preferences will help you better target the hunting area. 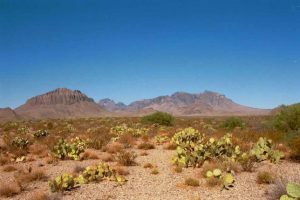 Mule deer prefer the height of the mountains in most cases, with the Chisos Mountains of Texas being an odd exception. Here, they switch positions with the white-tail and take up residence at the base of the mountains and in various valley regions. Deer hunting mules are most productive at forest edges, as these are not deep forest dwellers most of the time. Mule deer feast on all manner of vegetation but prefer sources such as mushrooms, yew, aspen, Douglas-fir, willow, grapes, and berries. Unlike their smaller cousins, mule deer are not as finicky about their diet, making hunting locations a little less predictable for a greater challenge. In the late fall during open season, these deer, which are a rusty red color in the summer, will begin to take on a grayish tinted hide, allowing them to better blend into the background and further excite the challenge of mule deer hunting. As mentioned, these deer are quite larger than white-tails, and while the average specimen stands only about 3 feet tall at the shoulders, the female of this species typically weighs between 100-150 pounds, the average maximum weight for a male white-tail. Bucks can be downright huge, weighing anywhere from 125 to 400 pounds. You want to beware these beasts don’t decide to charge, either, since they can run an amazing 40 miles per hour with that bulk. By the start of hunting season, young are typically about six months old, having been conceived around November and birthed in the spring, between April and June. Mule deer can have up to four fawns born at once, making their rate of procreation much faster than whitetail (though the average doe will have two fawns) and leading to fewer regulations on mule deer hunting. In fact, in Texas, where deer hunting is common for both species, all whitetail killed on land without a special permit must be logged immediately, while mule deer kills are not needed at all.